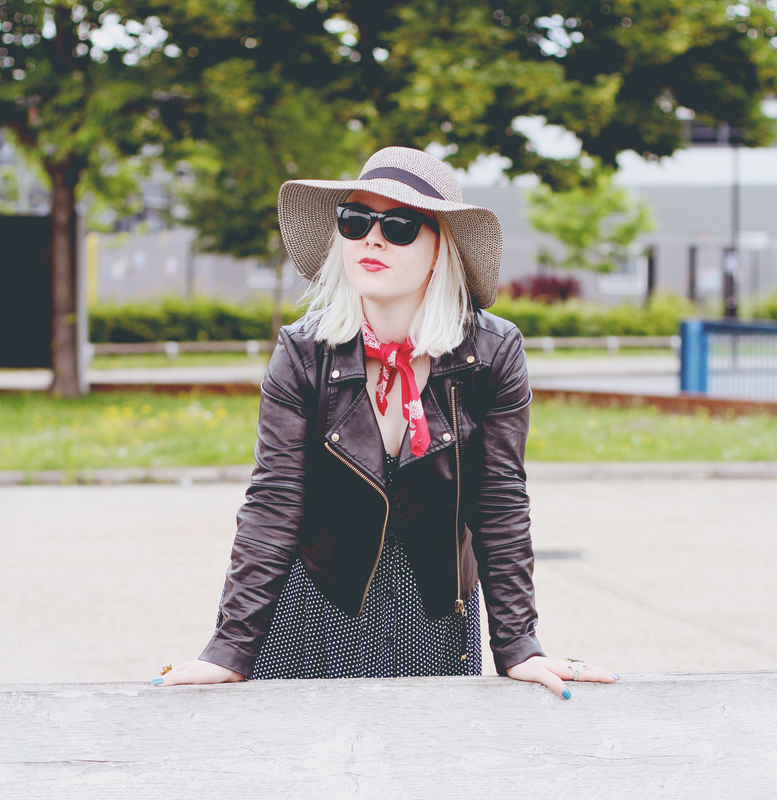 Today’s outfit post is all about navigating this crazy weather we’re having at the moment. Sunny one moment, monsoon the next- it’s hard to bust out your best summer dress when a torrential downpour is due any moment. That’s why today I wanted to show you how I’ve been dressing of late when I just can’t trust what the day will do. Today’s outfit came together courtesy of MandM Direct, who challenged me to put together an outfit for under £25, something that’s great if you’re on a budget and/or saving for your summer holiday spends. 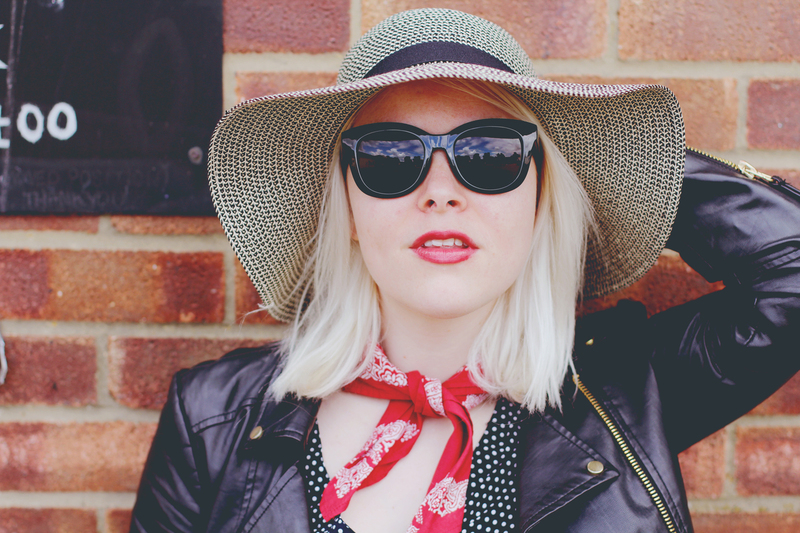 I picked out this amazing sun hat, super cool sunnies and cute polka dot dress, all for under £25, and put a spin on them using pieces from my wardrobe already. A simple sundress is where I started, with this sweet polka dot one from Brave Soul at MandM Direct. At £11.99 this dress is easy to wear with bare legs, or leggings, which are easy to take off and stow in your bag if it does get super hot, but are great for when the weather turns. I threw my trusty faux leather jacket over the dress for extra warmth, as it literally does go with anything, and isn’t too heavy, so there’s no risk of overheating. 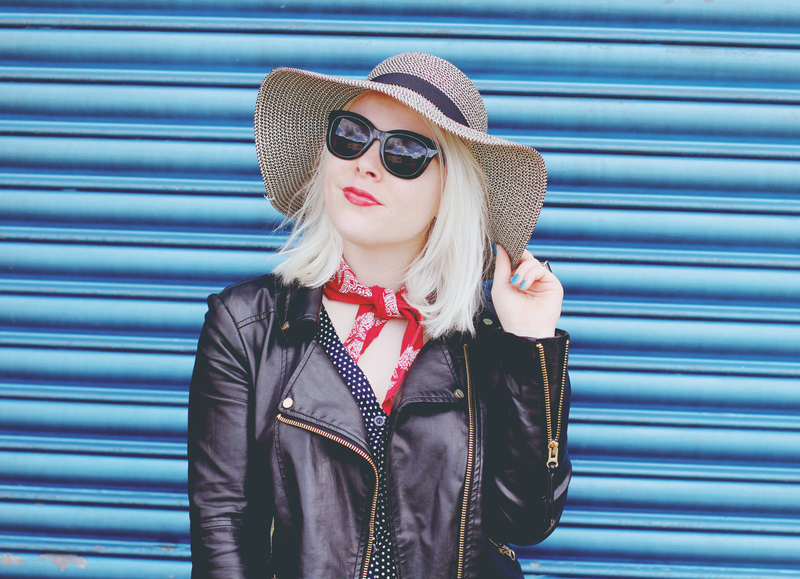 I love this ‘Board Angels’ sun hat- they’re everywhere right now, and can get so expensive, so I think £4.99 for this one from MandM Direct is brilliant, and it’s also very flexible, so perfect for getting in your suitcase without ruining it! I am definitely not what you would call a sun worshipper, and pretty much need all the shade you can get- so this is a lifesaver if it starts to get baking. The sunglasses are a summer staple- and I love these Audrey Hepburn-esque cat eye ones- the classic shape in black means they go with absolutely everything. At £3.99 these ‘Pieces’ sunglasses from MandM Direct are incredibly affordable for such a gorgeous pair. 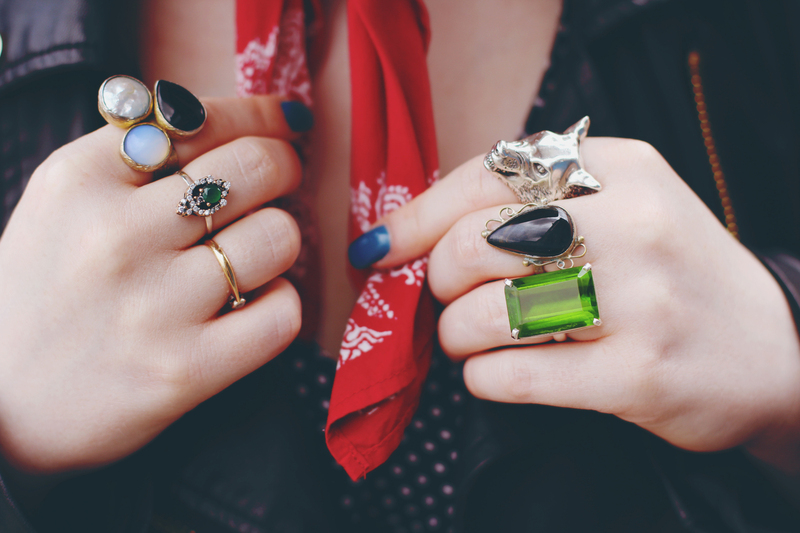 Finally to add a little bit of interest I’ve added my neckerchief and a multitude of rings as per usual, to just add an extra something to a casual outfit.